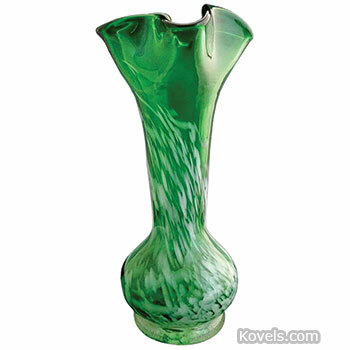 Stretch glass is named for the strange stretch marks in the glass. 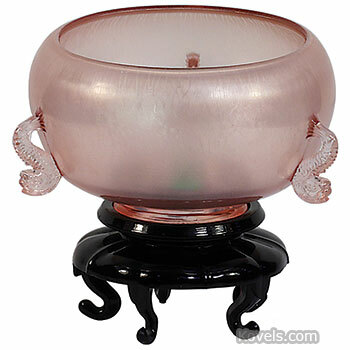 It was made by many glass companies in the United States from about 1900 to the 1920s. 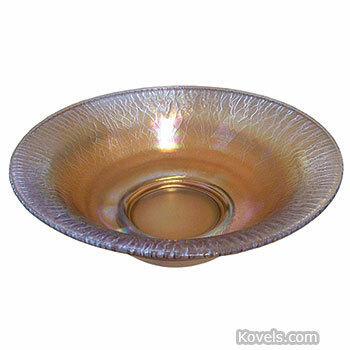 It is iridescent. 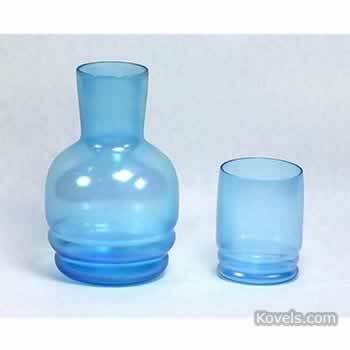 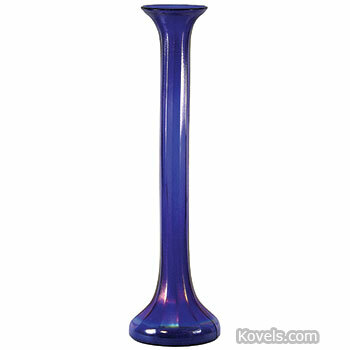 Most American stretch glass is molded; most European pieces are blown and may have a pontil mark. 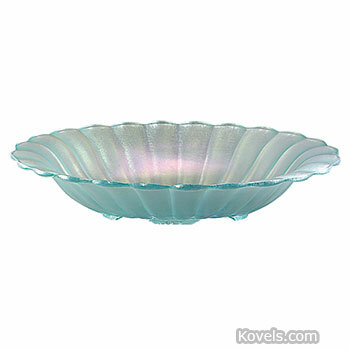 Imperial Jewel, a free-blown iridescent glass made by the Imperial Glass Company, is also known as stretch glass.